Thank you for visiting “Simply Tibetan, Simply Delicious”. The purpose of this blog is to bring you a collection of my favorite Tibetan recipes and inspire you to start cooking Tibetan. I was lucky to be always surrounded by wonderful cooks through out my life and have had the pleasure of spending many hours by their side in the kitchen. As a child, I would be handed little chores like peeling the garlic, shelling the peas, cracking the eggs … and in the course of many years, have learnt to cook some dishes too. I cannot claim that they are as good as the dishes I got to eat but still I am happy to share them with you. It is my hope that it will bring a taste of Tibet to kitchens everywhere, especially those that belong to young Tibetans. Food is an integral part of your day and each time you eat tibetan, you bring a sense of Tibet to your day. The smell, taste and texture of a hearty bowl of thukpa will really take you back to your roots. Unfortunately, like everything else, I think our cuisine too, has suffered in exile and many have never had the chance to taste much more than the basic thukpa, momo and shamdey. But we have much more than that and there are fewer and fewer who know how to make them well. I want to try and find these recipes and bring them to you, so you too, can make them and relish some real authentic Tibetan flavors. My recipes will be as detailed as I can make them but not perfect, so please use it as a guide and feel free to improvise and adjust to your taste and cooking habits. Tibetan cuisine is healthy, hearty, fresh, flavorful and above all, it is simple and delicious. So, I choose the name “Simply Tibetan, Simply Delicious” for myself and my blog. I hope you’ll find this useful. Please visit often and do make suggestions and comments especially if you try out the recipes. I would love to hear if they worked for you or not. As my mother tongue is Tibetian and i had spent most of my childhood in Tibet. I had tasted most of cuisine while in Tibet but its been long since i haven’t taste Tibetan food. Hello, I’m looking for a recipe for a great vegetarian chickpea and spinach dish I ate at a Tibetan restaurant in Delhi, India. The restaurant also featured Nepalese dishes so I’m unsure exactly what it was. Can you help? A question: the garlic/lemon cure.. should the jar with it be kept in the refridgerator? simply delicious I could not see your face, how can I feel the taste of your recipes. I was recently nominated for the Versatile Blogger Award, the rules of which require me to nominate other blogs that I find enjoyable and engaging. So, you’re one of my nominees. See https://allthingstibetanblog.wordpress.com/ for more. Thugjiche. I really appreciate this resource. Thank you so much. I cooked several Tibetan food from your recipe. They all came out reallly great. Actually, I know how to cook some of the food you have put on the web.but my food doesn’t taste good as yours maybe its because the propotion of the ingredients. However, I heartly thank you so much for having SIMPLY TIBETAN SIMPLY DELICIOUS. This is a lovely blog and I am so glad I discovered it. I hope to try out some of these dishes at home over the next few months. I was just wondering do you have the recipe for the yellow laphing coming up? I am crazy about laphing. This is fantastic!!! I heard you on PRI ‘The World’ and ran to my computer! Cooking is my passionate hobby, so finding your blog is a great gift! Keep up the good work. Thank you for the tibetan recipes, I am a keen cook who hasn’t yet discovered her cooking skills. I have been looking for our tibetan cooking recipes and I found a very good one of yours and I will be learning to cook more of our traditional food from you. Thank you for that. Thank you for the blog! I haven’t tried your recipes yet but will be soon!!! With the gyuma 😉 can you also post recipe for Bhagza Marku? Thu-chay-nang, Tenwang la. Glad to hear you will try some recipes. Thanks for the comment. Tashi Delek! I am excited that i found this website. i like cooking and am going to try your recipes. I am looking forward to more tibetan recipes and i will follow your blog. Thank you so much for coming up with this website. Three Cheers to simplytibetan!! This is wonderful. I hope it’ll be a complete catalogue of Tibetan Food. I just finished making gyuma, looks delicious. I tried without the blood. Lets hope it turns out good. I am gonna eat tomorrow. Thank you, it’s really nice, that you came up with this site. Wonderful. I still have not found the time to try some of your recipes, but I will. In the meantime, to show my appreciation for your blog, I nominated you for the ‘one lovely blog award’. Thank you Marieke. I was nice to find your blog too and i continue to follow you around Tibet. Please keep posting. Thank you. KTDorjee – absolutely agree with you – thanks for checking out my blog. Thanks for posting the recipes. Making and eating Tibetan food is a good way to keep our kids interested in and learning their culture. Sometimes it is OK to think of your stomach! I look forward to trying khapsey and baleb. I can make other dishes, like momo, shabakleb, thantuk, tukpa, bad pingsha, but don’t know how to do these. It is nice to find your blog. I was in Tibet many times and the food is often bland and basic. But I also know it does not need to be like that as tI found a few great restaurants with very nice tasty tibetan dishes as well. And now I can try to make some of that at home. This is my version of Amdo Phaley…..a tradition passed down from my father…..
With my humble respect I congratulate for coming up with this blog which in small step reflects the love for your country and its delicacies. I hope young generations will learn from this and the elder one will reflect their past and proudly prepare them to their family. Good luck to all! BOD GYALO! thank you so much for the wonderful and easy to follow recipes. am going to love serving up all these wonderful dishes to friends who have never tried Tibetan food!! love the blog. Is there any way you could help with a recipe for fried thenthuk? sigh**** FINALLY!!! Yayyy!!! I simply want to thank YOU in advance for creating this blog. I have been looking for a viable Tibetan recipe blog and your’s have certainly met my expectation. As a young Tibetan, I am discovering the great art of Tibetan cooking. I can’t wait to try Amdo Bhaley and can’t wait to come back for more recipes. Please, keep up with your wonderful project!! I have been trying to make thopa-khaza for months (stomach). Is there anyway you could help me. Thanks! I have tried the Lephing, wow….it is good! 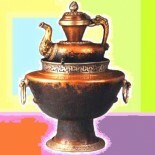 I am going to try the Sha Dhoktso for Losar! Thank you for sharing the recipes. I and my friends are looking forward to more…..
I’m so happy to have found this blog, and I can’t wait for more recipes! My husband and I have been daydreaming about Lhasa lephing, so we can’t wait to make it soon! Also, I’m hoping to find a good tomato/ hot-sauce recipe to serve with meat momos. Any ideas? Thank you so much! Happy to have discovered this blog. Can we have more recipes please! Hi Simply Tibetan thanks for the blog, now I know where to look when I have the cravings for delicious Tibetan foods. Momos and Lephings have always been my favorite out of all the foods in the world. I have often wondered about the origin of momos, other world communities seem to have their own version of momos; Germans, Italians, Chinese and Koreans; are some of the countries I’ve known who have their own momos. Would you be able to tell me the origin of momos in Tibet? It will be nice to know a little history about my favorite food so that next time I bite into a delicious juicy momo I will not just fulfill my taste buds but will also feed my mind with stories of its long journey through time. Thank you for the recipes. Would you know the name and/or reci[pe of the sweet bread that is flat and round and usually served in Tibetan monasteries? I’ll be sure to post amdo momos from my Amdo Kitchen – so keep checking back. Also, to share a little cook’s secret – I’m told that to get juicy momos, you should be kind to your meat mixture – combine the ingredients gently – do not knead, squeeze !!! Try that – even momos need kindness. Thanks for these wonderful recipes. I am attempting the pot roast tonight. By the way, when u have time, could post the secret to the juicy Amdo Momos? I’ve had many different momos, and have attempted to make them several times. but nothing seems to compare to the Amdo momo that I had at a friends house once. They were so juicy and tasty that I’ve got to ask for mo and mo amdo momo. Wow… Thank you for taking the time to enlighten us all with your traditional Tibetan recipes. Your gourmet looking cuisines bring out the pride of our Tibetan culture. It also allows our youth to see that Tibetan dishes go so much further than just rice, aloo and dal (not even Tibetan). I appreciate you for sharing your “simply delicious,” culinary recipes. The time you take on this page will create a great impact on our younger generation. My son has already been checking out your recipes and it is encouraging to know that our young Tibetans are still not out of reach. Thanks again in helping to revive our authentic Tibetan dishes. Glad you’re enjoying this blog – I’m looking forward to adding many more delicious dishes so keep checking back. Congratulations and thanks for coming up with this blog! It will be so useful for people like me, who love Tibetan food but do not really know how to make them the most authentic Tibetan way. I am so excited about this blog and look forward to getting many enticing recipes. Lephing definitely is one of the Tibetan food that I need a good working recipe. So thank you so much for putting this first in your inaugural blog. Thanks for your recipe,and now i know that i have to use mung bean starch,i use to make it with corn starch,but never turns out a good one.Now i am going to try this recipe. Congratulations on this yummy blog! I always regret not having learned how to cook Tibetan food (and how to speak Tibetan) while I was living across the street from your house. Although I miss your dishes a lot, I am now happy that I can at least imitate them. Glad you came up with this blog. Especially I like the fact that you have given measurements for the ingredients which makes life much easier while cooking. As food is an important part of one’s culture I hope to learn to cook many yummy Tibetan dishes from you! For now, I will try out the Lephing and let you know how it turns out. I’m so happy to have discovered this blog. Keep those recipes coming. I love Tibetan food…..the flavors are so honest and satisfying.